The software key code you received is linked to the computer (CPU), USB or iPad device you are registering.Â Each device receives a different key code. Enter your information and the key code that was emailed to you. 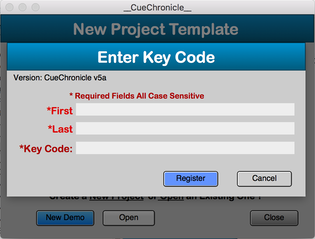 If the key Code is accepted a confirmation dialog will open. The file will need to close. Your CCStartTemplate file is now registered. 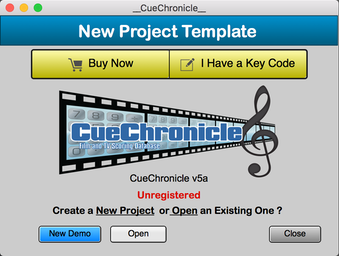 If You have created demo projects they will automatically register when opened. Projects From other registered CC users will automatically register.